Our Kiwi Style Bike Tours holidays are a challenging and fun way to see some of the world’s most visually stunning landscapes. Since 2005 we have been helping fellow cycling enthusiasts ride their dream in France, Italy, Spain and Australia. 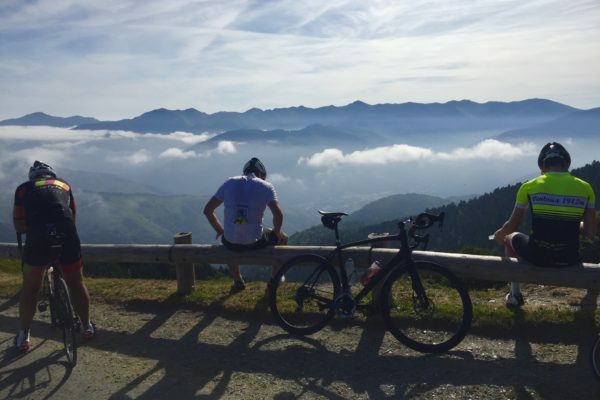 Picture yourself under the bright blue european summer skies, riding your bike up the alpine climbs you have seen so many times on the Tour, Giro or Vuelta. A glimpse down shows the names of the best pro’ climbers, emblazoned on the tarmac by over eager fans. The faded names remind us of the riders who have already made their mark on the sport we love. The mind wanders through black and white footage featuring the legends of the sport, the hard men, who have also ridden and suffered on these roads – how much sweat did Merckx spill on this climb? From the top the view is spectacular. Looking out across the valley, you marvel at what you have just achieved. The villages we passed through earlier, now just specs on the world below. Now the rewarding descent awaits. This is Riding The Dream. With Kiwi Style bike Tours we select what we feel are the most visually stunning areas, the most iconic climbs and the most memorable experiences to create the ultimate cycling holiday packages. We have a team of experienced guides who ensure there is a relaxed, fun, no pressure atmosphere while you ride as much or as little as you like – it’s your cycling holiday. 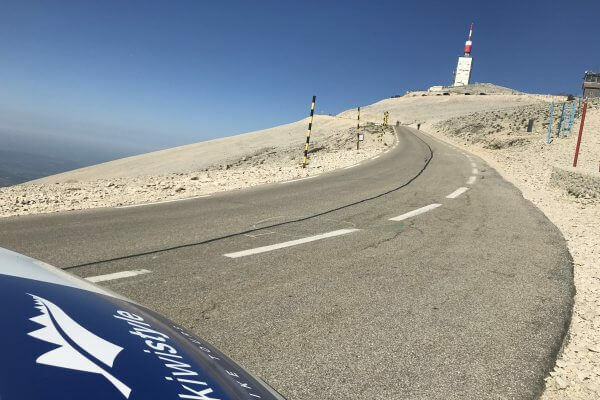 Riding The Dream means different things to different people – some will want to climb like they’re chasing a KOM, while others will want to savour each switchback and view point. We want the Kiwi Style experience to be one that achieves your cycling holiday goals. The Epic France Italy Tour has become the backbone of Kiwi Style Bike Tours. It remains the most popular European Tour for those wanting to tick off the most legendary climbs of cycling folklore. We start in France with the beauty of Lake Annecy and climb our way through the French Alps. Then it's into Italy, via Lake Como, the Italian Alps and the Dolomites. Epic rides, Epic scenery and Epic climbs. We ride the spectacular climbs in the Pyrenees. We soak up the atmosphere of historic Girona. We ride the stunning Costa Brava coastline and relax on the beaches of the Mediterranean. The ultimate combination of challenging rides with a relaxed summer holiday atmosphere. Book your spot now for Pyrenees France Spain Tour 2019. 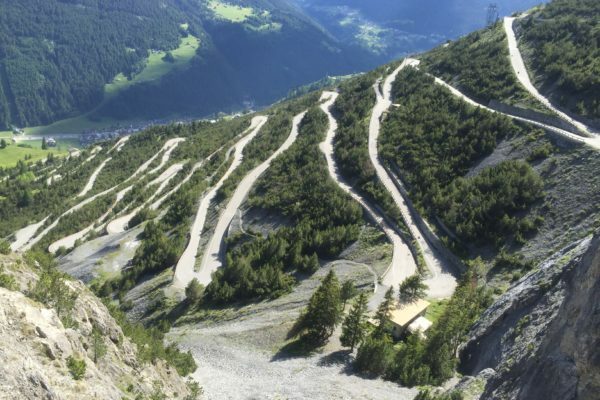 The Epic Italy - France Tour 2019 takes in rides from our favourite climbing terrain - Dolomites, Italian Alps and French Alps along with the spectacular Lake Como and Lake Annecy areas. 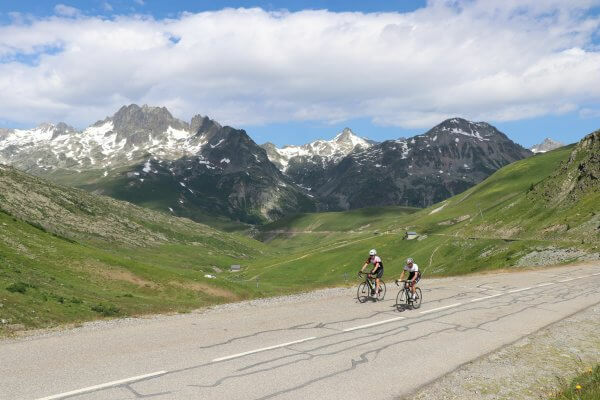 The Alpine Raid 2019 is the opportunity to experience some of the best riding the French Alps has to offer. The 2019 Provence Alps Tour has been fully booked by a private group. New for 2019 - Croatia Tour. We will be cycling in one of the most beautiful coastal areas in the world in 2019. A cycling holiday not to be missed!! 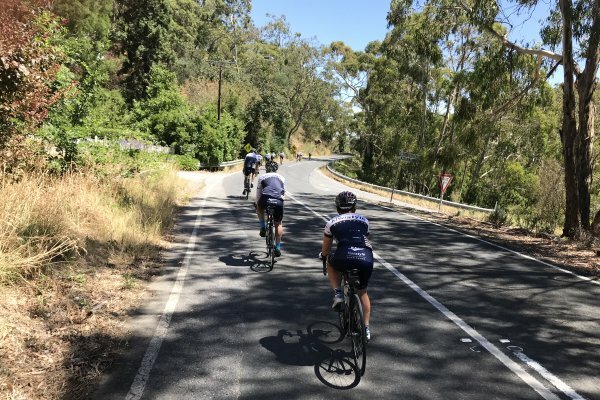 The 2020 Santos Tour Down Under combines the stunning scenery of the Adelaide area, the great Aussie summer climate and a chance to soak up the atmosphere of a professional bike race. Croatia Tour 2020 - May/June. Our pre-summer tour takes in the best cycling locations Croatia has to offer - the beautiful rolling terrain of the Istria Peninsula, the stunning coast of Northern Dalmatia and the world famous islands of Southern Dalmatia. This really is a bucket list tour. Croatia Tour 2020 - September. Our post-summer tour takes in the best cycling locations Croatia has to offer - the beautiful rolling terrain of the Istria Peninsula, the stunning coast of Northern Dalmatia and the world famous islands of Southern Dalmatia. This really is a bucket list tour. Tour difficulty and fitness levels. A Five Star rating is a tour that is structured as a training camp. 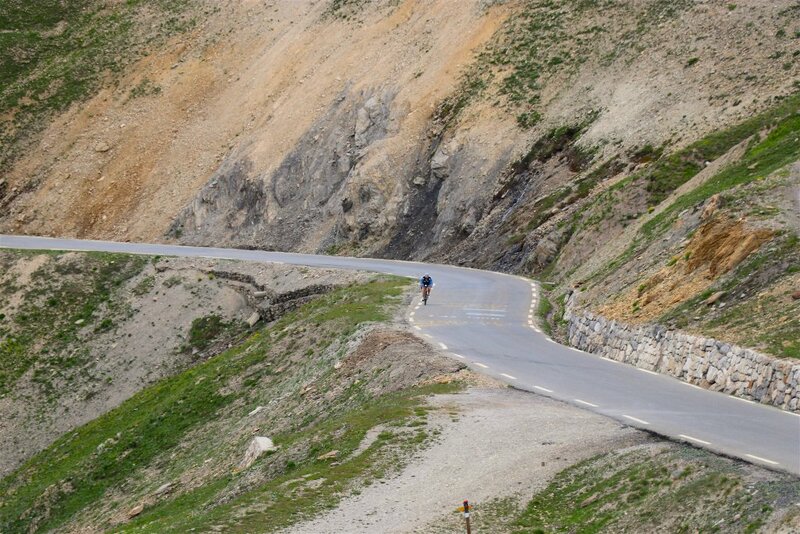 It includes several long and/or steep climbs on most days of the tour. This requires a very good level of cycling fitness to be able to enjoy the tour from the start right through to the finish. You don’t have to be a Pro level racer, but a weekend racer level of fitness is required to enjoy our toughest tours. Very few of our tours are rated as five star difficulty, unless it has a race/event as the finale. A Four Star rating is a tour that includes several long and/or steep climbs on most days of the tour. This requires a good level of cycling fitness to be able to enjoy the tour from the start right through to the finish. You don’t have to be a racer, but a you should be used to regular riding to be able to recover and enjoy each day. A four star rated tour will have days where most riders will be looking forward to a recovery day. A Three Star rating tour will have a mixture of mountainous days and flat/rolling days. 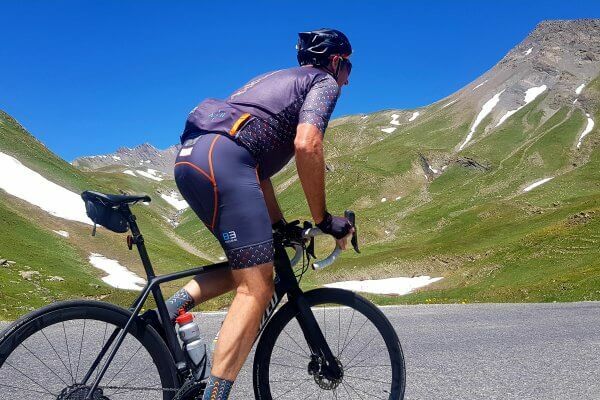 A good level of fitness is still required to enjoy these tours and the cumulative effect of several days on the bike can make the climbs feel tough. If you’ve done your regular weekend training rides, a three star tour will have you smiling from start to finish. A Two Star rating is a tour that will have the majority of the rides on smaller hills or rolling/flat terrain. A two star will have plenty of escape routes planned for longer rides. A good general fitness will see riders enjoy these tours. A One Star rating is not used for any of our current Kiwi Style Bike Tours packages. This would be a baguette and bottle of wine in the basket type of ride – which, while great fun, is not a Kiwi Style dream ride. We do have a number of rental bikes available for hire. These are full carbon Scott bikes with Ultegra components or equivalent. These are available for most tours at a cost of NZD$580/tour. You will be required to bring your own pedals, shoes and helmet (and some choose to bring their own saddle).